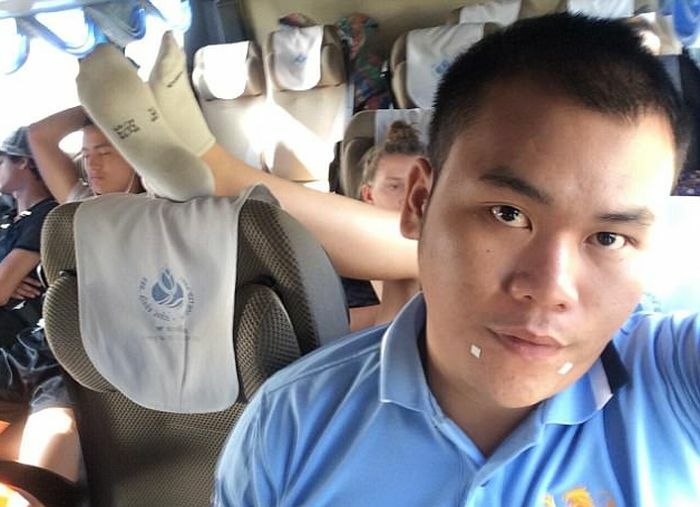 Narong Thaopanya got stuck with a smelly backpacker on a bus in Thailand and they wouldn't remove their feet from the top of the seat next to him. It's safe to say it was a trip he will never forget. Why wouldn't you confront them?